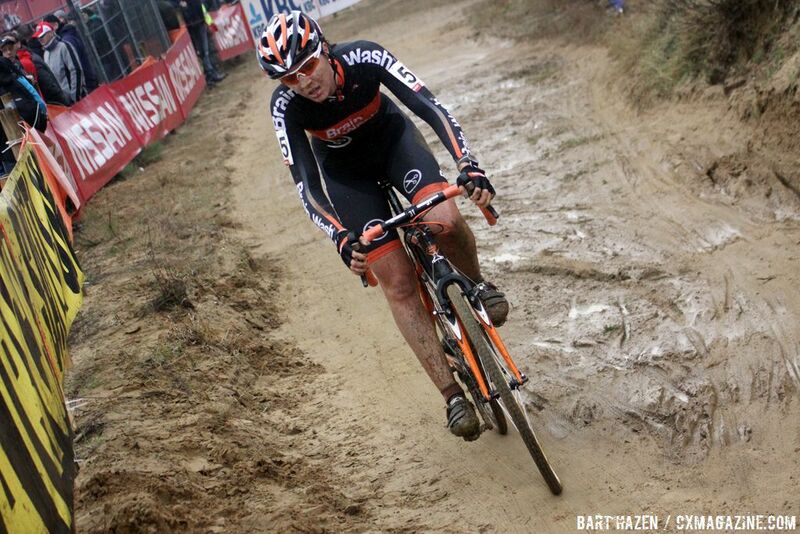 At the sixth round of the UCI World Cup, Marianne Vos once again showed that she is the top racer on European soil. 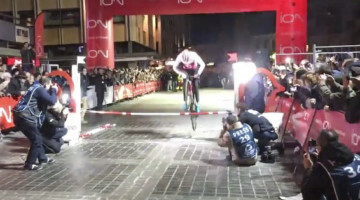 The current World Champion rode a near perfect race, powering away on the last lap to finish thirty seconds ahead of Daphny van den Brand (AA Drink). 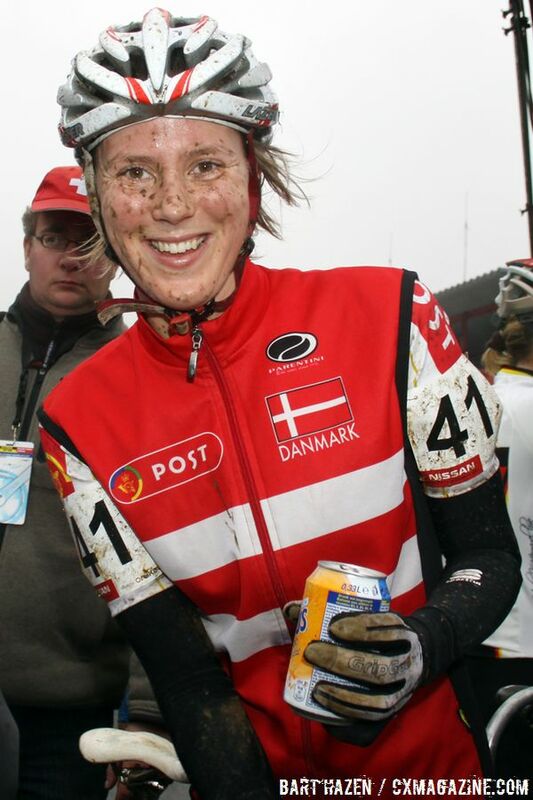 Sanne van Paassen (Brainwash) rounded out the podium. 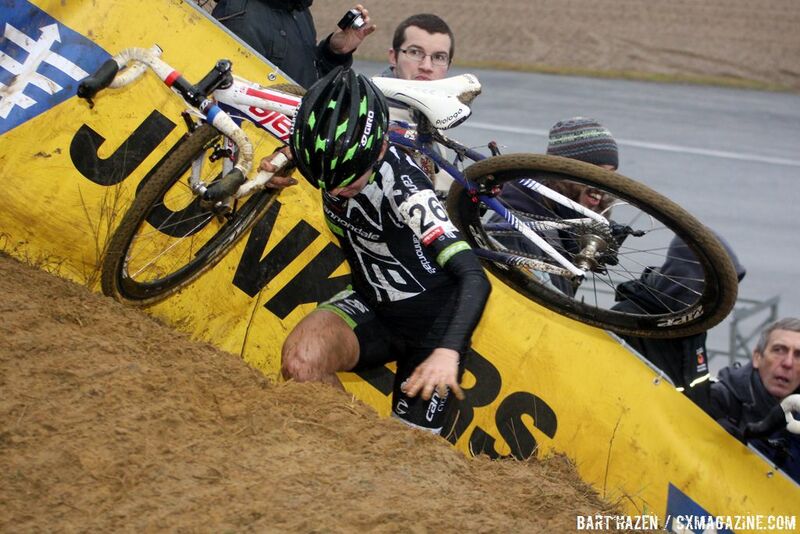 It was a wet, slippery day this year at Heusden-Zolder as the women lined up for the sixth World Cup race. 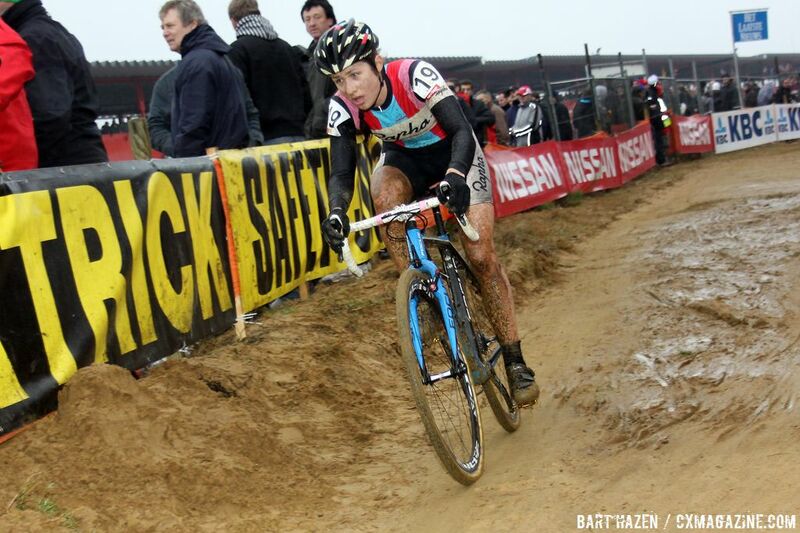 Last year, Katie Compton took the win ahead of Vos on a snowy day. But with Compton not here to defend her win, and with Vos’ recent string of aggressive wins, it was clear the World Champion was the one to beat; she proved it again today, nearly leading from pole to pole. 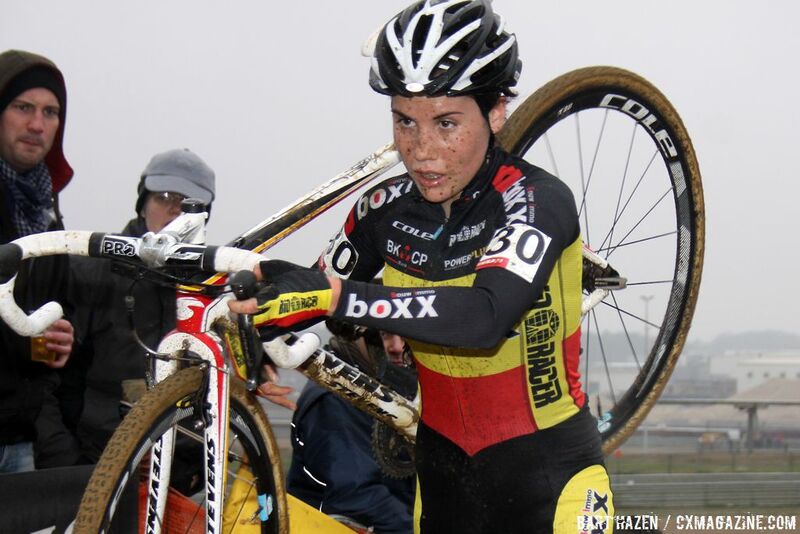 It was Helen Wyman, however, who took the hole-shot and led the early race ahead of Sanne Cant and Vos, followed by van den Brand and van Paassen. 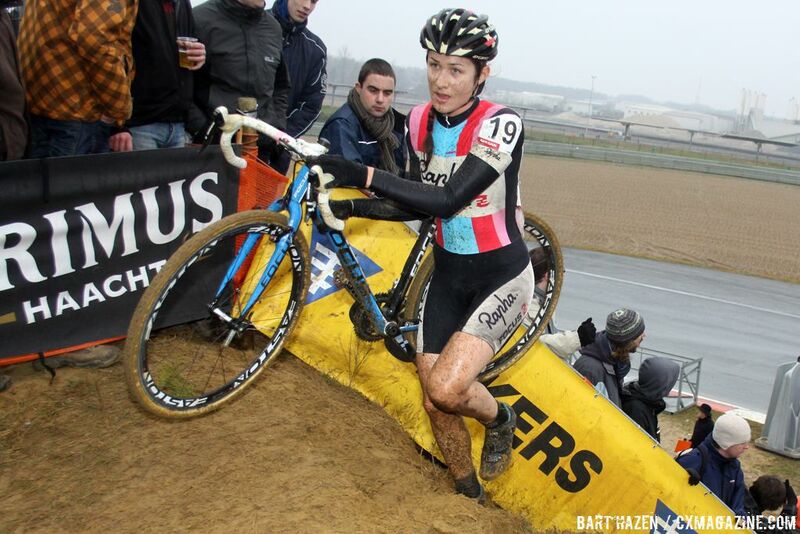 As Daphny van den Brand took over the lead, Vos decided it was time to assert herself, launching an attack right before a tricky, sandy descent. The long string of riders behind her were disrupted when Sabrina Stultiens and Sophie de Boer crashed on the descent, creating a gap for Vos, Daphny van den Brand, Sanne Cant and Helen Wyman. 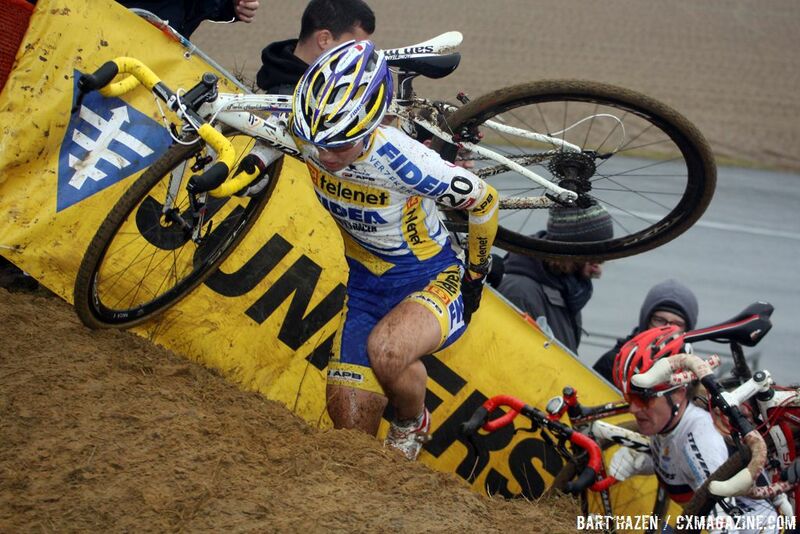 Wyman lost connection with the leaders, however, when she took a short, angled descent poorly and crashed. At the head of the race, Vos led van den Brand, followed after a few bike lengths by Sanne Cant and French rider Pauline Prevot. 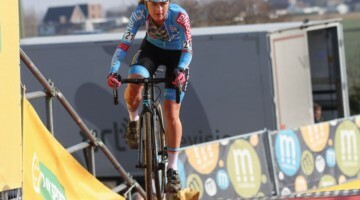 But with Vos driving the pace, the gap continued to grow, and soon the Dutch rider had established a double-digit lead and began putting her compatriot van den Brand on the ropes. Vos’ one moment of weakness came soon after, on the off-camber that proved the decisive feature for all of today’s races. 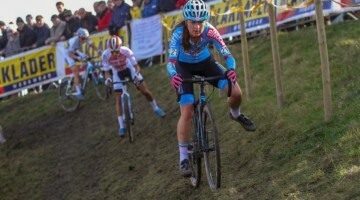 A poor line, and subsequent bobble, allowed van den Brand to take over the lead from Vos, and Vos showed a slight timidity on the descents as she chased back on. It was a small moment, however, as soon the World Champion was back in charge, with van Paassen and Prevot chasing nearly 20 seconds behind; a mechanical had Sanne Cant grabbing a new bike and losing a few bike lengths to Prevot. The decisive moment between Vos and van den Brand came when the latter slipped on a turn and lost a few precious seconds. 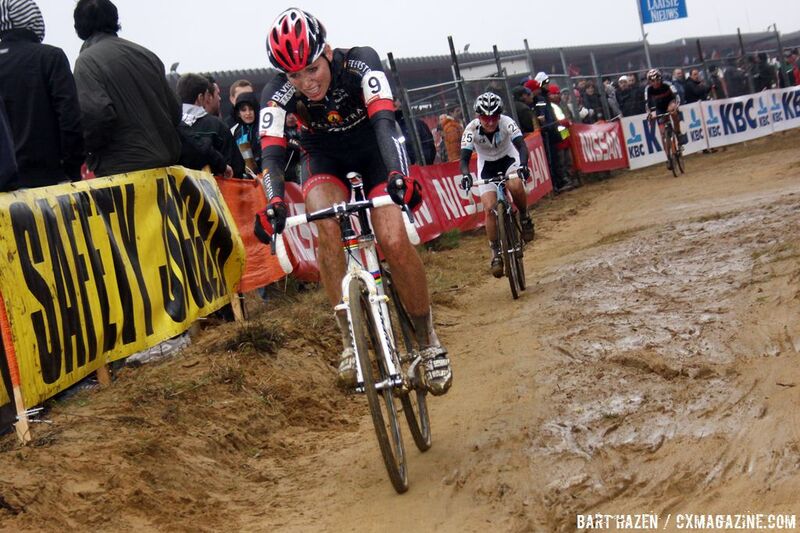 Though she caught back onto Vos, the effort cost her and Vos began to accelerate to take advantage, gaining a small gap on the off-camber that had given her trouble earlier. 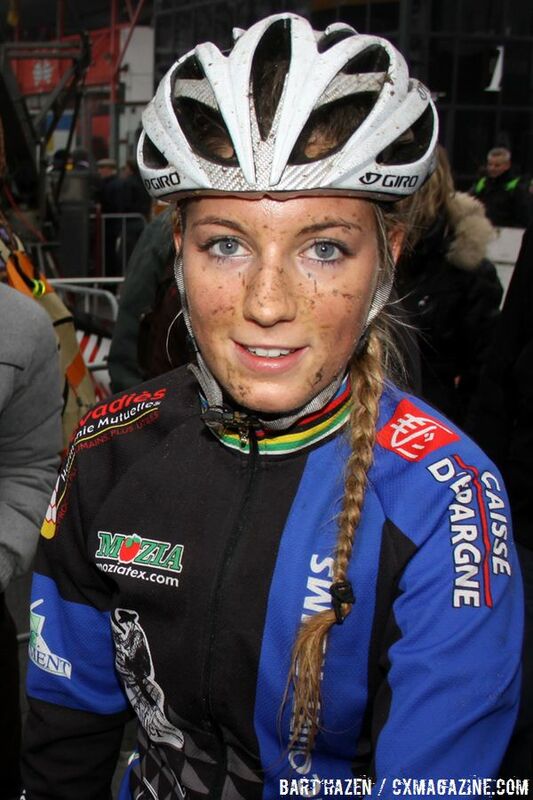 Van den Brand showed why she’s the European Champion, gritting her teeth and repeatedly clawing back onto Vos’ wheel. With two laps to go, the pair had 42 seconds over chasers van Paassen and Prevot, with Sanne Cant pushing to make contact. Van den Brand’s efforts paid off, as she was able to sneak ahead of Vos heading into the penultimate lap and lead for the first half, leading viewers to wonder if they would witness a sprint between the two champions. 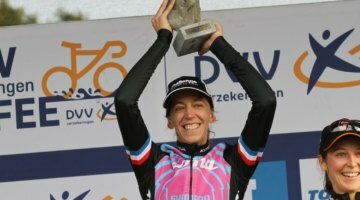 The speculation did not last, however, as Vos unleashed a brutal attack, reminiscent of her acceleration at last year’s World Championship, just after the run-up. From there, Vos was free to fly, sprinting out of her saddle and powering across the course. 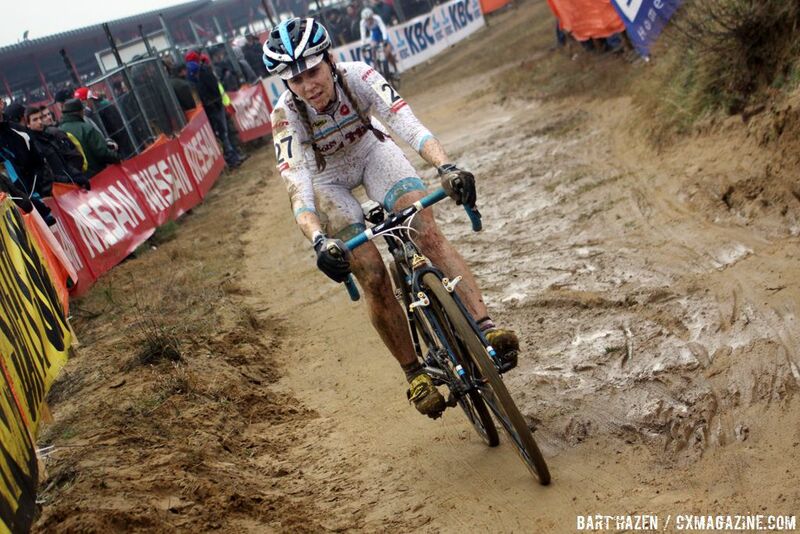 It seemed every pedal stroke gave her an additional second over van den Brand. By the time she crossed the finish line, hands high, she had carved 30 seconds into van den Brand. In the race for third, Sanne Cant made a powerful last lap effort, accelerating past Prevot and setting her eyes on van Paassen. The Belgian Champion had the Dutch rider in her sights, pulling out an incredible effort to bridge up to the last podium position. 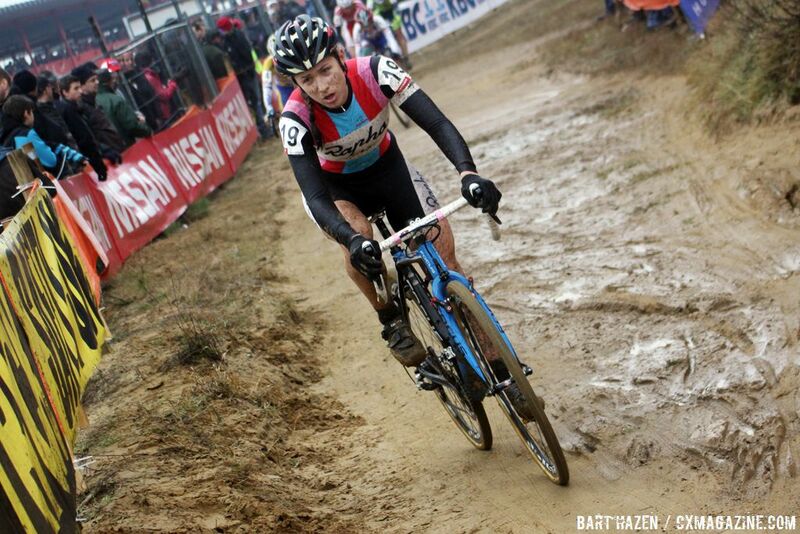 It was not enough, however, as van Paassen held off the Belgian to take third. Top American placement went to Kaitlin Antonneau, who finished 20th place. Previous post Merry CXMas and Happy Holidays!